Courtesy photo Gladstone High School students Sydney Herioux, second from left, and Andie Balenger were recently honored with Certificates of Merit from Michigan Technological University's Society of Women Engineers. Each year, the historic society honors outstanding junior and senior female students who excel in math and science from across Wisconsin and Michigan in an effort to promote potential careers as engineers and leaders. GHS teachers Paula Lundin, Robin Schwartz, and Katrina Clausen are pictured above with the honorees. 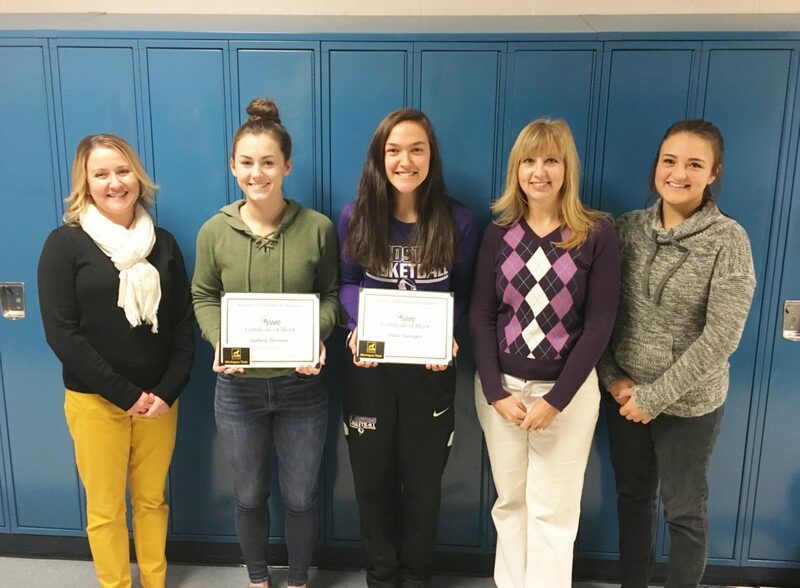 Gladstone High School students Sydney Herioux, second from left, and Andie Balenger were recently honored with Certificates of Merit from Michigan Technological University’s Society of Women Engineers. Each year, the historic society honors outstanding junior and senior female students who excel in math and science from across Wisconsin and Michigan in an effort to promote potential careers as engineers and leaders. GHS teachers Paula Lundin, Robin Schwartz, and Katrina Clausen are pictured above with the honorees.